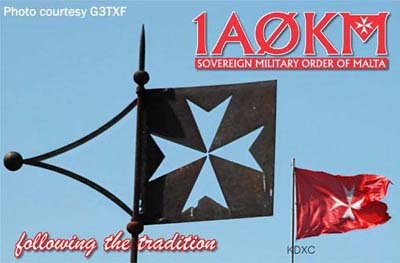 SMOM - Sovereign Military Order of Malta - is a fully independent entity with an ancient tradition and glorious history. Founded before the conquest of Jerusalem in 1099 by the crusaders, recognized in 1113 by Pope Pascal II, from 1310 to 1522 SMOM held the sovereignity of the island of Rhodes, and from 1530 to 1798 of the island of Malta. 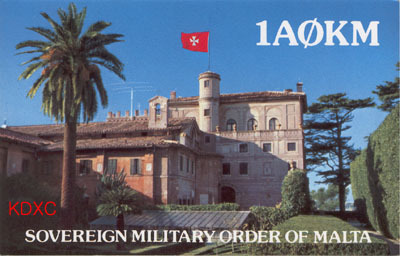 Then, after temporary Sees, the Order finally established itself in 1834 in Rome, where it holds several extraterritorial areas.Its members are known as the "Knights of Malta". Under the provisions of International Law, the Order mantains diplomatic relations with 64 countries in the world as well as with many international organizations. His most Eminent Highness the Prince and Grand Master of the Order rules over a world-wide organization dedicated solely, as its ancient tradition dictates, to providing assistance in the hospitaller, charitable and social fields. Regarding 1A0KM, which is located in the extraterritorial zone of "Villa Magistrale all'Aventino" in Rome, Italy, special thanks are due to the Grand Magistry for its assistance. 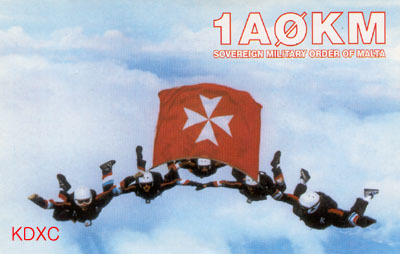 The Sovereign Military and Hospitaller Order of St John of Jerusalem, called of Rhodes, called of Malta (generally known as the Order of Malta), came into existence between c. 1080 when a hospital for pilgrims was established in Jerusalem near the Abbey of St Mary of the Latins, and 1113, when the hospital, its administrators and dependencies were recognized by the Pope as an Order of the Church, dedicated to the care of the sick poor. 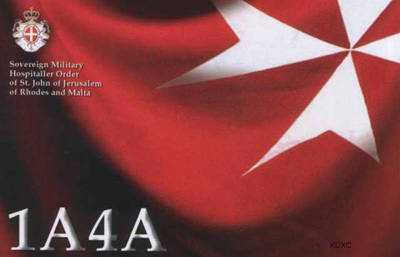 Half a century after its foundation it assumed military as well as hospitaller functions, and by 1200 it was playing a major role in the defence of the Christian settlements in Palestine and Syria which had been set up by the Crusaders. From its origins it was endowed on a massive scale in Western Europe and it developed an international structure to manage these properties for the benefit of its work in the East. 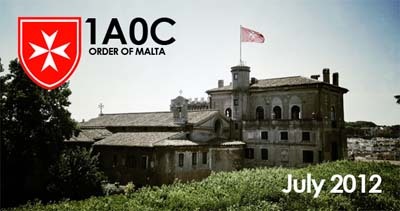 With the loss of Malta the order's military functions ceased, and hospitaller work again became its only duty. It moved its headquarters to Rome in 1834. It is still regarded by many states (though not by all) as a sovereign subject of international public law. The seat of the Grand Magistracy in Rome, under the present Grand Master, HMEH Fra明 Andrew Bertie, has the right of extra-territoriality recognised by the Italian state.